Colorado Means Test | Denver Bankruptcy Attorney - Jon B. Clarke, P.C. At the Law Office of Jon B. Clarke, P.C, our Denver bankruptcy attorney Jon Clarke is well-prepared to explain details behind the means test applied in Colorado. What is the Colorado Means Test ? The Bankruptcy Abuse Prevention and Consumer Protection Act of 2005 sought to curb perceived abuse of the bankruptcy process by above-average income consumer debtors. Prior to 2005, the bankruptcy court could dismiss a case filed by an individual Chapter 7 consumer debtor, if the court found the granting of relief to be a substantial abuse of Chapter 7. There was a presumption in favor of granting the relief requested by the debtor. A few, but not many, entertainers, sports figures, and professional debtors were denied Chapter 7 relief because their post-filing income was deemed sufficient to support a continuous “lavish lifestyle” which ought not be at the expense of their creditors. Each judge’s “good smell test” had to be offended, and some judges were reluctant about overcoming the statutory presumption favoring the debtor’s choice of chapter. At the Law Office of Jon B. Clarke, P.C, our Denver bankruptcy attorney Jon Clarke is well-prepared to explain details behind the means test applied in Colorado. Contact our law firm today to discover how this affects you. Beginning in the late 1990’s, the credit card industry lobbyists complained to Congress that too many debtors were choosing Chapter 7 as a first resort rather than a last resort. Many debtors were accused of having sufficient income after living expenses to make meaningful payments to unsecured creditors over time in Chapter 13. Creditors urged §707 be expanded to create a mathematical formula for determining abuse based on a consumer debtor’s gross income less certain allowed expenses, i.e., a “means test”. If the means test showed a meaningful distribution to unsecured creditors was possible over 60 future monthly “discretionary income” payments, then Chapter 7 relief would be denied. A debtor who qualified for Chapter 13 would have to convert from Chapter 7 or get no debt relief at all. A debtor whose debts exceeded the Chapter 13 limits would have to convert to Chapter 11 or get no debt relief at all. Reform litigation introducing a means test was introduced in 1997, and it was approved in 2000 by the U.S. House of Representatives and Senate. As he was leaving office, President Clinton vetoed the means test as being unfair to working people. Creditor reform efforts from 2001-2004 failed to clear the Senate, but following the 2004 election, Senate consumer advocates could no longer forestall the so-called Bankruptcy Abuse Prevention legislation from becoming law. Since October 2005, every Chapter 7 debtor has been required to submit a Statement of Current Monthly Income and Means Test Calculation. Certain disabled veterans, reservists, National Guard members, and non-consumer debtors are excused. All other debtors must document their all-source pre-filing average monthly income. If this amount, annualized, is below the Internal Revenue Services’ (IRS) current median family income for the applicable state and household size, a presumption of abuse will not arise. Many of Jon B. Clarke’s clients’ applicable income is above-median. These debtors must then calculate allowed deductions from income using IRS national and local standards plus “other necessary expenses”. If total allowed deductions exceed current monthly income, again, the presumption of abuse does not arise. Finally, if such deductions do not exceed current monthly income, but the difference paid to unsecured creditors over 60 months will not exceed 25 percent of their unsecured debts, again the presumption of abuse does not arise. What is business debt is not defined in the Bankruptcy Code, but most courts look to the intention of the debt at the time it was incurred, not the nature of the debt at the time of bankruptcy filing. Purchase-money loans to acquire the debtors’ residence and vehicles are consumer debts. A second vacation home mortgage still counts as a consumer debt, even if later turned into a rental, because the debt was originally incurred for personal use and not investment. The pre-2005 Act “substantial abuse” provision continues, although it has become more commonly known as the “totality of circumstances” test. Clearly this test applies to high-income Chapter 7 consumer debtors. Single persons and married couples with above-average W-2 wage income are particularly vulnerable to dismissal from Chapter 7 for abuse. Debtor advocates such as Jon B. Clarke have been successful in avoiding application of the totality of circumstances test to business debtors. Nevertheless, debtors claiming they are exempt from the means test requirement need to be able to prove more than half of their debts are non-consumer debts. 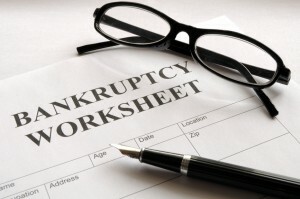 The Chapter 7 bankruptcy documents do not require a written summary of total business debts versus total consumer debts. Credit card debts, second mortgage, and home equity lines of credit may have been incurred totally or partially for business use. Whether or not debtors are exempt from the means test is fact-specific and always subject to challenge by the United States Trustee’s attorneys and accountants. Jon B. Clarke has extensive experience representing debtors seeking Chapter 7 relief with high incomes and large debt loads. His initial inquiries will focus on passing or avoiding the Colorado means test. In the instances where this may be doubtful, he will explain the available alternatives. We are ready to help you. Contact our law firm today by e-mail us the BCD form to learn how the means test may affect you.